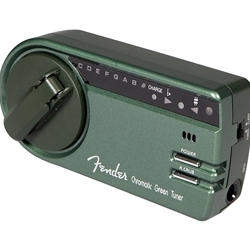 Fender introduces the world's first Chromatic Green Tuner. Simply give the crank a few turns and you're ready to tune. No more expensive and wasteful batteries.